Today I have another University Tips post for you guys who are going to University in September, whether it's your fresher year, second year or even your third year. 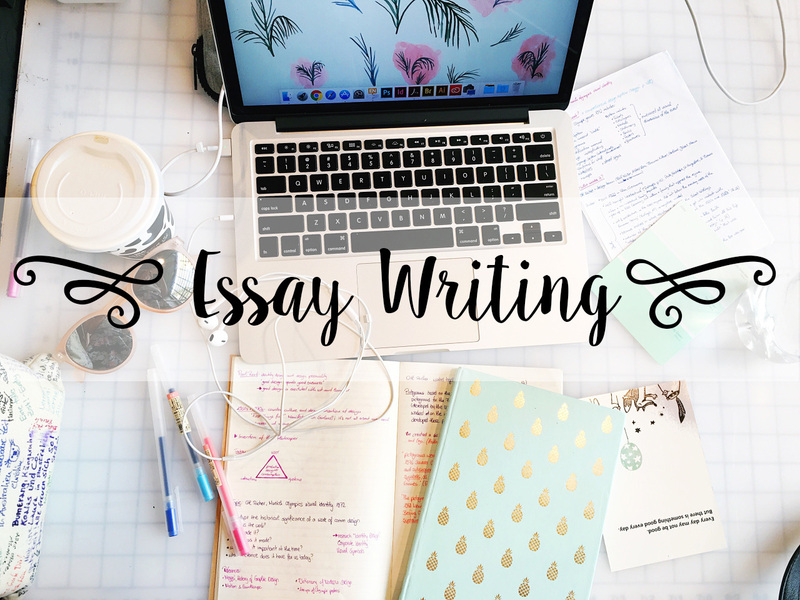 Essay writing is completely different in University compared to college and by following these tips, you'll be hitting the higher marks in your essays. I was completely shocked about how many little things you have to include in your essays just to get a highish mark, You cannot "wing it" like you're able too in college. University requires a lot of time and hard work to get the grade you deserve but it's not that difficult if you are able to put your mind too it and dedicate everything you have. Firstly you need to research everything thoroughly. You need to know what you are arguing about in your essay because this isn't about your opinion, it's about finding the good and the bad points about that topic and arguing about it on a piece of paper. What side of the story is better? Can you find quotes to back up what you're saying? If you agree with one side of it, can you find a theorist who agrees with you? You need to be able to back up every argument with quotes from theorists and books and you need to know your topic inside and out. Your lecturer will want an in-depth argumentative essay with good strong points for each side but with quotes and references. However, you cannot rush this! You can't just find a reference and think "that'll do". Imagine you're part of this argument, in a law case maybe? You need the strongest points you can find. Secondly, your word count is so important. Your lecturer will give you a word count and you cannot go over this word count, not even by one word as you'll be deducted points. You can also only be under by a few hundred words and then you'll also be deducted points. Although it can be easy just to write and ramble about loads of random things but you need to be concise and stick to the point. Take out any extra words, the nitty gritty words which you don't need and any connectives or sentence starters. You will not need them! Thirdly, keep personal views out of your essay. Do NOT use "I", at all. Just don't do it. Unless you have been told to write a reflective piece of writing and they have told you that you can use the word I, then do not use it. You're lecturer will get annoyed and you'll lose marks on your essay. This essay isn't about you, it's about what theorists and other people say, backing up the ideas as if it was your own opinion, but it isn't. Please do not leave your essay till the last minute. Rushing your essay will not give you the higher marks. Even a couple of weeks before the due date isn't enough. Essay writing at University needs to be coherent, logical and well thought out. It can't just be slapdash and rambles because it'll be the biggest waste of time other wise. I mentioned in my "Reaching your Full Academic Potential" Post, the best ways to study while at University which will help you figure out how long you will need to prepare for this essay. Also, don't forget to proof read. You need to find all them spelling mistakes and find where you can get them crucial extra marks within your work. Find someone to have a look at your work, even if it's a parent or a sibling; because they haven't wrote it, they'll be able to find them silly spelling mistakes that you can't see even though you've read through your essay 10 times. There will always be one. Last but not least, referencing is key. If you're at college now then I highly recommend starting to Harvard reference now because it takes time and you need to get it perfect to get them extra marks. It won't matter too much in your first year, but in your second year it will knock you points if your referencing is wrong. If you want to know how I Harvard Reference, let me know in the comments and I will create a post just about Referencing and how to do it. I hope this University Tips post has helped some of you student out there. Make sure to follow me on Bloglovin to have updates on any new posts.